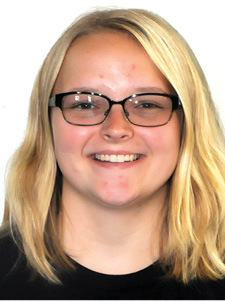 [Editor’s note: For the past several weeks, Brooke Wright has been working as a summer intern at the Clinton County News. A journalism student at Western Kentucky University, she has worked this summer not only refining her reporting, interviewing and writing skills by completing several writing assignments, but has also spent time getting some hands-on experience into various production procedures as well. As she heads back to Bowling Green and her senior year at WKU, we at the Clinton County News wish her the best this year, as well as in her future and career. As my time at the Clinton County News comes to a close, I can reflect on the things I’ve learned from an internship at a small town newspaper. As you read on, I have listed six things that have helped me realize journalism is an exciting career and one that I look forward to pursuing. A lot of hard work goes into producing a small town newspaper, which requires substantial dedication from the team at the Clinton County News. First off, everyone works as a team to pull the newspaper together, which requires editing, proofing and time to put graphics and ads on the pages. The paper comes out on Wednesdays, so Monday and Tuesday are dedicated to making everything perfect and looking top notch. Deadlines are what keep a newspaper on schedule, so it is of the utmost importance to turn articles and assignments in on time. I try to get my interviewing finished the week before an article is published and start writing it shortly after. This allows me to keep up with newspaper deadlines while also helping feel like I’m not behind on articles. Not only has this internship helped prepare me for a future career in journalism, but it has also helped me improve my writing skills, interviewing skills and overall reporting skills. This past spring semester at WKU, I took a reporting class, which allowed me to write several news stories to improve my writing and reporting. This internship has allowed me to continue crafting these skills so I can succeed in my next reporting class and in my future career. This internship has shown me that journalism can be fun. When covering different reporting assignments or stories, the people you interview are sometimes willing to tell you more than you need for your story. Sometimes you’ll hear interesting life stories and build relationships with people that will last a lifetime. Journalism allows me to extend my reach across the community and connect with people I never thought I would connect with before this internship. Journalism means being unbiased about topics you’re writing about. Usually articles do not have any opinions written in them unless they are meant for the opinions section or have direct quotes from an interviewee. I have learned that it is best to keep some topics broad and it is best to use generic terms when giving examples for certain things in order not to cause controversy. I’ve written a few different types of articles for the Clinton County News, although the majority are feature articles. However, I wrote an opinion article about what to do when you’re bored during the summer and a movie review, which is something I have always wanted to do. Working for the newspaper has allowed me to expand my creativity and explore different ideas that interest me. As you can see, journalism is an exciting career with its many twists and turns. I have learned so much from this internship and have enjoyed my time here at the Clinton County News. I would also like to thank Al Gibson for giving me this opportunity to have articles published in an official newspaper. You never really get over the feeling of seeing your name printed on publications. I would also like to thank the rest of the Clinton County News for welcoming me into the newspaper family; I’m glad I got to know the people behind all the news in Clinton County. I would also like to thank my journalism professors at WKU, Mac McKerral and Amanda Crawford, for helping shape the writer I am today. Without their help and expertise, I would be a fish out of water and still stuck using the Oxford Comma in journalism writing even though I am an adamant supporter of the Oxford Comma in academic writing. Next, I would like to thank my family for being so supportive of everything I do. It is with their encouragement and never ending love that I am able to do the things I do. Finally, I want to thank the readers of the Clinton County News for reading my articles, giving me constructive comments as well as compliments, and the overall welcoming I received from the community.